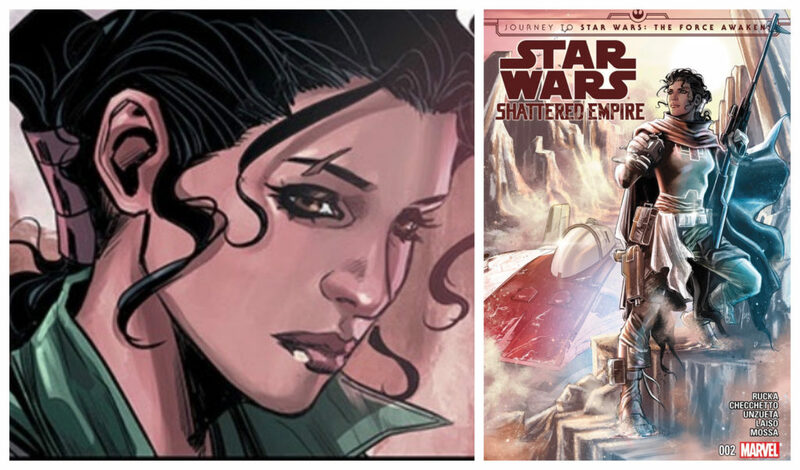 Shara Bey was a pilot with the Rebel Alliance in the comic series Shattered Empire. You may have heard of her son, Poe Dameron. Bey flew with Green Squadron in the Battle for Endor. She was married to Sergeant Kes Dameron. If you haven’t read Shattered Empire I highly suggest checking it out. 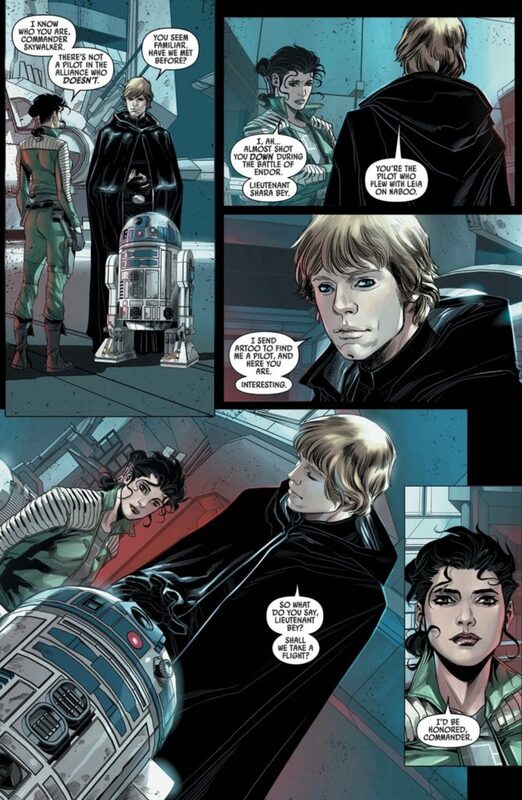 Here’s a page from Issue 4 of with Shara Bey, Luke Skywalker, and R2-D2. Shattered Empire Issue #4 – art by Marco Checchetto, colors by Andres Mossa.